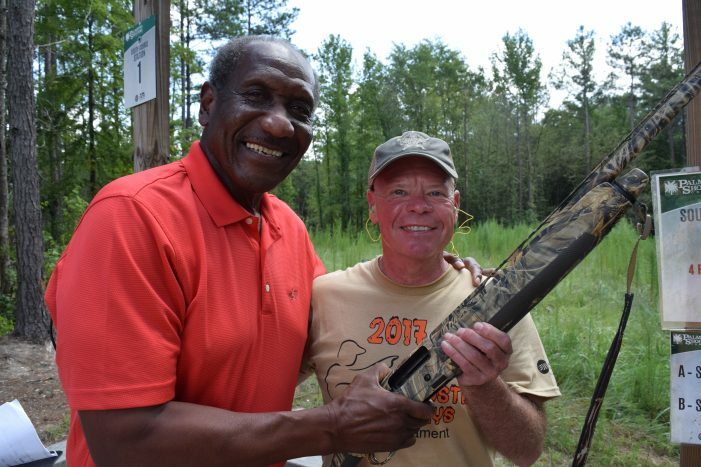 Rep. Bill Clyburn and Aiken County Sheriff Michael Hunt at last year’s inaugural Bustin’ Clays for United Way tournament. A fun event is planned for Saturday, July 28 at the National Wild Turkey Federation Palmetto Shooting Complex with proceeds going to the United Way of Edgefield County. Presented by Aiken Electric Cooperative, the Bustin’ Clays tournament will be an exhilarating day of competition, games and fellowship. Registration starts at 8:30 a.m. and shooting games begin at 9 a.m. Individuals and teams of four will receive a golf cart for transportation, 100 targets and lunch. Awards ceremony will take place after the tournament. A special “Business Challenge” trophy will be given to the business team with the best score. For more information, visit aikenco-op.org or call Keyatta Priester at 803-617-3982.